Sometimes it’s nice to embrace the fourth grader inside and visit somewhere like Fort Vancouver as an adult. 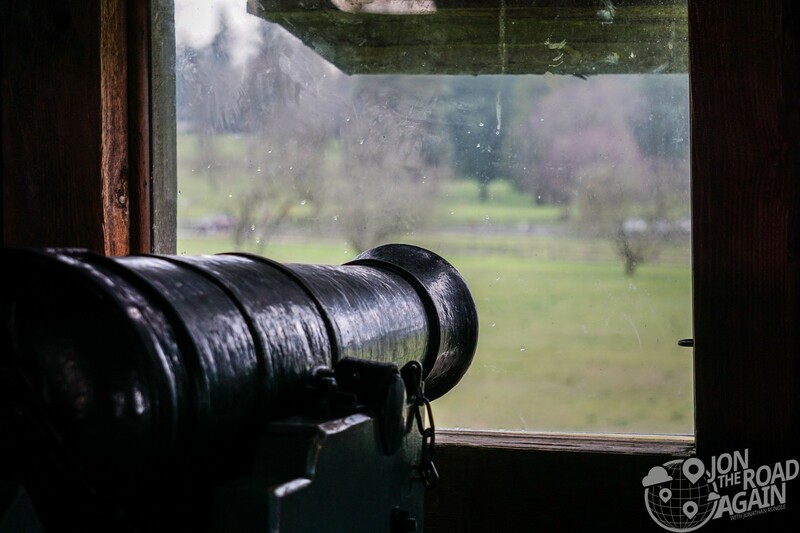 Sure, Portland has the faster pace, the fun attractions, shopping, food, coffee, and beer – but there wouldn’t be a Portland without Fort Vancouver. I visited the fort late in the day, which means I have the place all to myself. 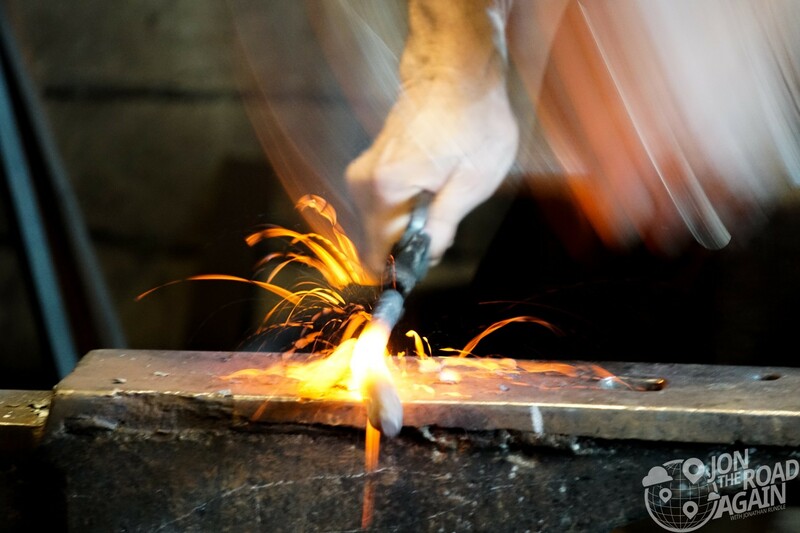 It isn’t by design, but I’m glad I don’t have to push some brat out of the way to get a good photo of the blacksmith. 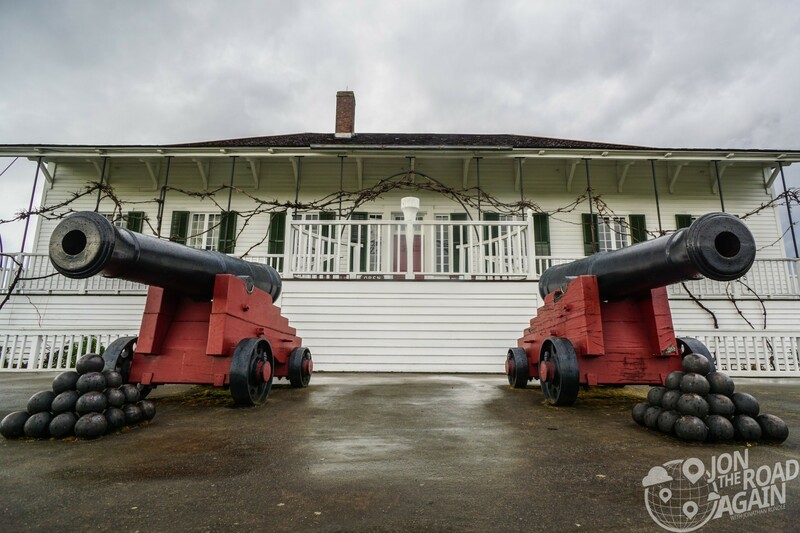 Fort Vancouver was an important fur trading outpost established in 1824 by the British Hudson’s Bay Company (HBC). 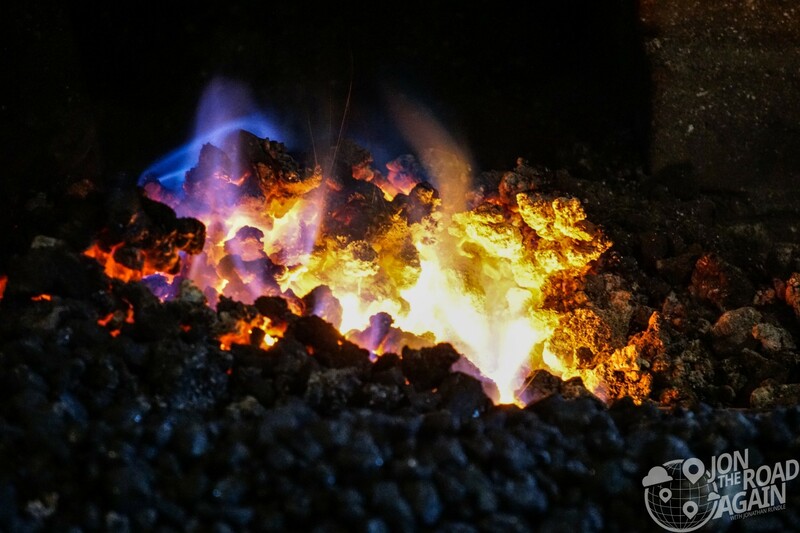 It was the center of activity on the Pacific coast and its influence stretched from the Rocky mountains in the east, to Alaska in the north, Mexico in the south, and to Hawaii in the Pacific. In 1843, the Hudson’s Bay Company moved their base of operations in the region to Fort Camuson, now known as Fort Victoria in what is now Victoria, British Columbia. 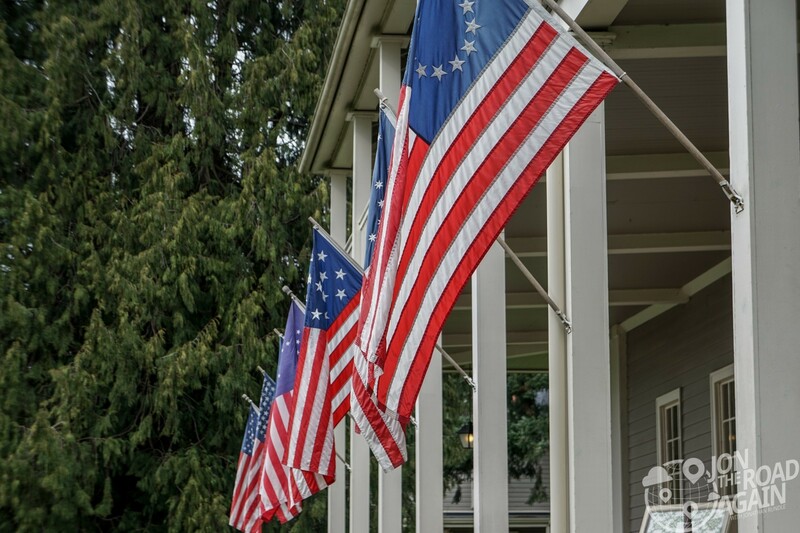 In 1846 the Treaty of Oregon was ratified, and Fort Vancouver became part of the Oregon Territory. The Treaty permitted HBC to continue to operate the Fort Vancouver site even after the boundary dispute was settled, but they eventually abandoned the post in 1860. In 1849, the United States Army constructed a barracks adjacent to the British trading post; and took over the Hudson’s Bay facility when it was abandoned. A fire destroyed the fort itself in 1866, but the Army facility continued operation. Fort Vancouver became a national monument in 1948. In 1965, with the urging of the local community, Congress directed reconstruction to begin. All fort structures seen today are modern replicas, albeit carefully placed on the original locations. 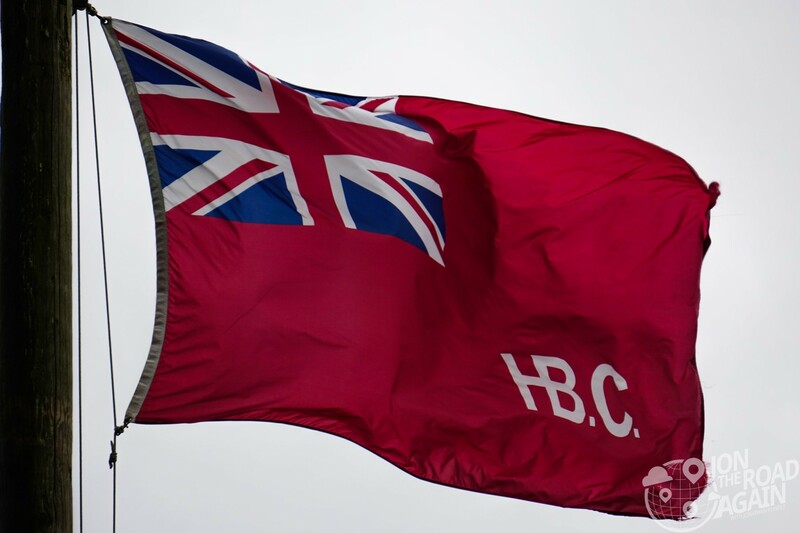 The old HBC flag flying above the outpost serves as a reminder that this is not your traditional fort, ones that usually served as military outposts or to keep the Native Indian population at bay. Nope, this was a site for commerce. 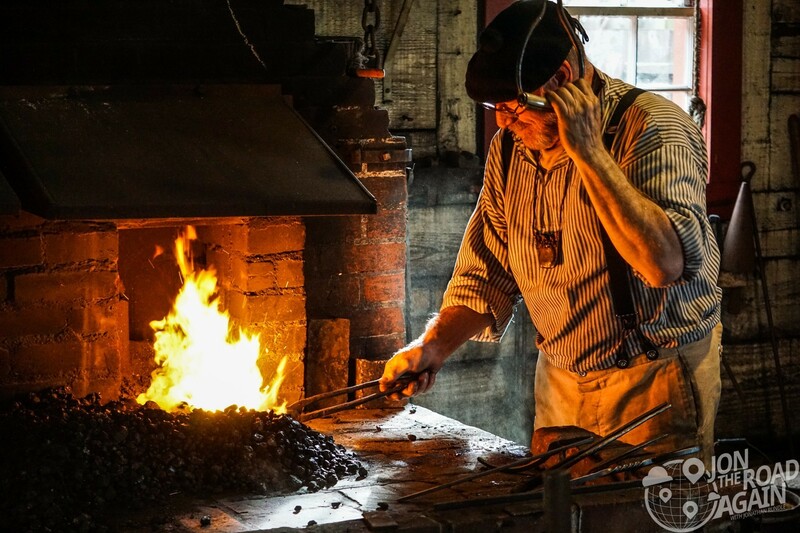 The most popular stop at any fort would be the blacksmith’s shop. Here the smiths fashion the fixtures to be used on the grounds such as door latches, hinges, nails and even tools such as a pair of pliers that the smith pictured below was working on. The fort’s bastion overlooks the fort grounds and keeps an eye out for potential threats to the village’s well-being. 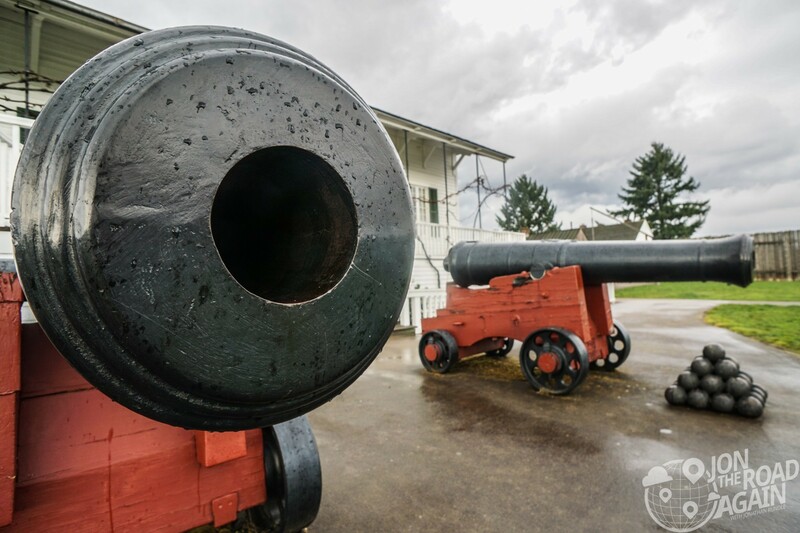 At three stories tall, its eight “three-pounder” cannons had a great view of oncoming threats. 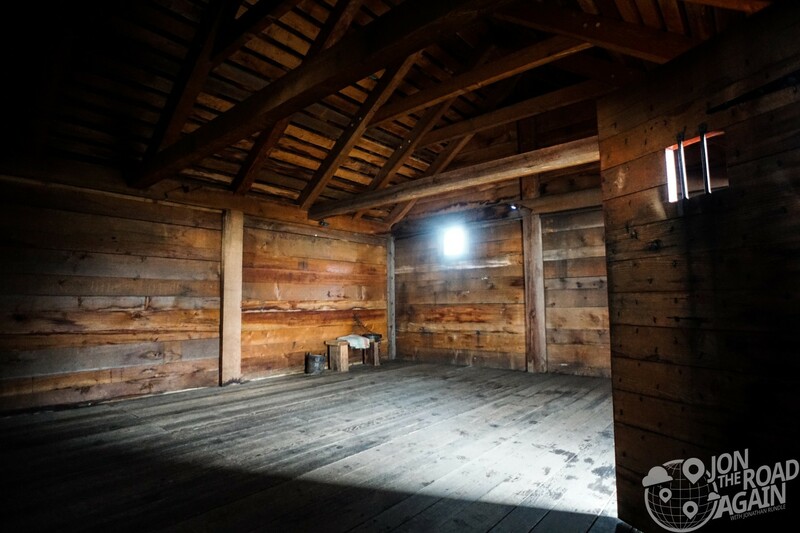 A peek inside the jailhouse reveals stark 1860’s accommodation. Above the fort are a well-kept collection of buildings along the main road into the complex. This is called Officer’s Row. The two jewels worth visiting here are the Grant House and the Marshall House. 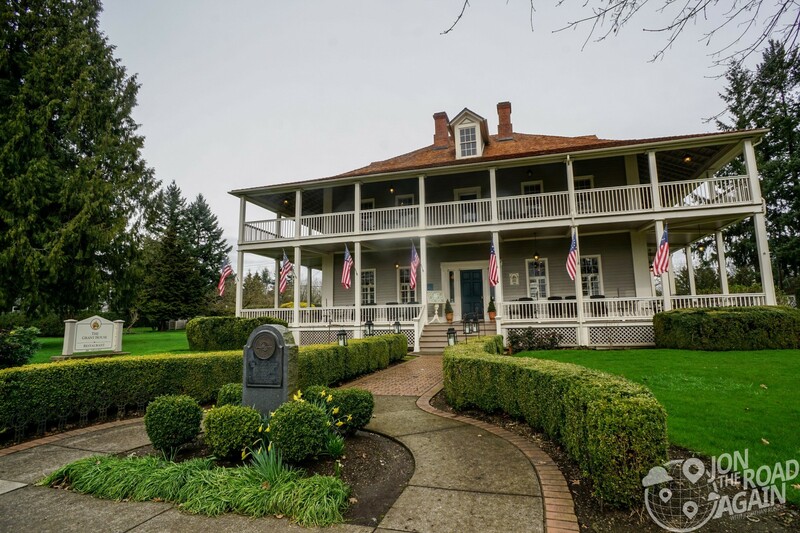 Although Ulysses S. Grant served as quartermaster at Fort Vancouver from 1852 to 1853, he never lived in the Grant House, which was the post commander’s quarters. During the American Civil War, Grant was the leading general in the Union Army. Later he served as President of the United States from 1869 to 1877. 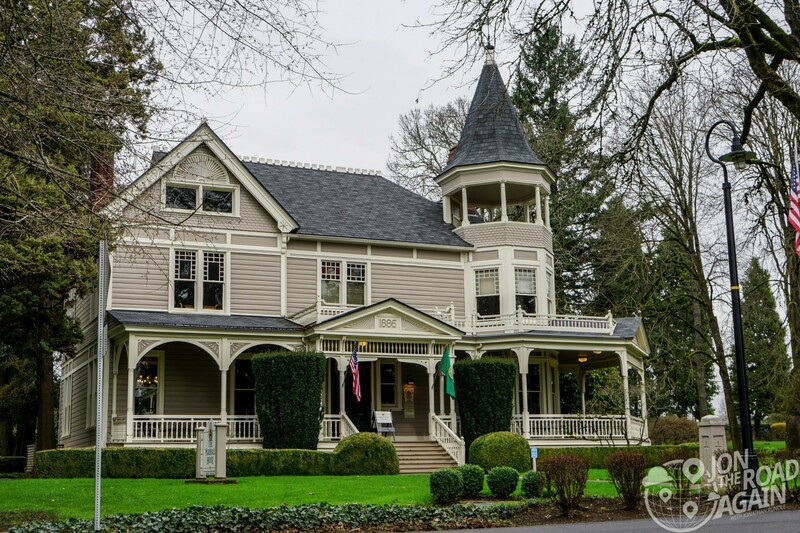 The Grant House, built in 1849, is the oldest remaining building at Vancouver Barracks. 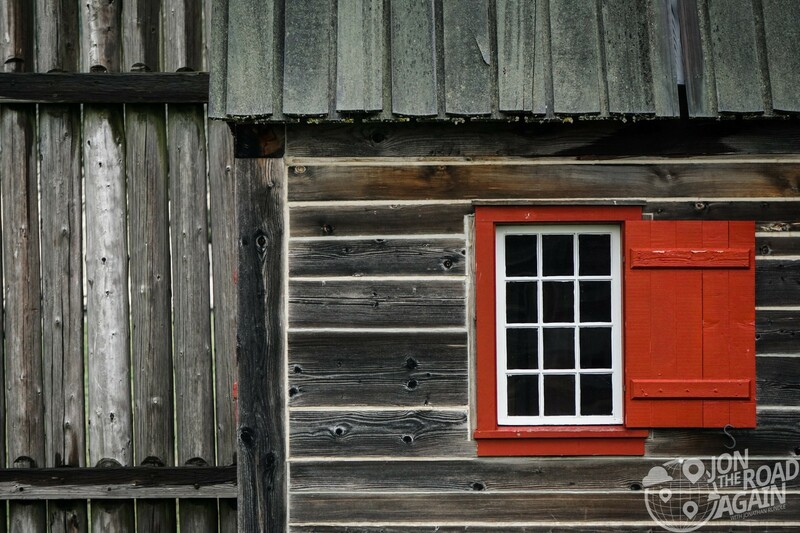 It began as a log structure, but eventually was covered with plank siding. Today the Grant House is a restaurant open to the public. Built in 1886, the Marshall House served as home to Brigadier General George C. Marshall and his wife Katherine from 1936 to 1938. At Vancouver Barracks Marshall commanded the Third Division’s 5th Infantry Brigade and the region’s Civilian Conservation Corps camps. Later during World War II, Marshall served as the Chief of Staff of the U.S. Army. He was Secretary of State (1947-1949) and was awarded the Nobel Peace Prize for his work on the Marshall Plan which helped rebuild the economies of Europe and the Pacific nations after the war. Today the Marshall House is a museum open for tours and is available for weddings and other special events. The Pearson Air Museum is on the site of Pearson Field next door to Fort Vancouver. 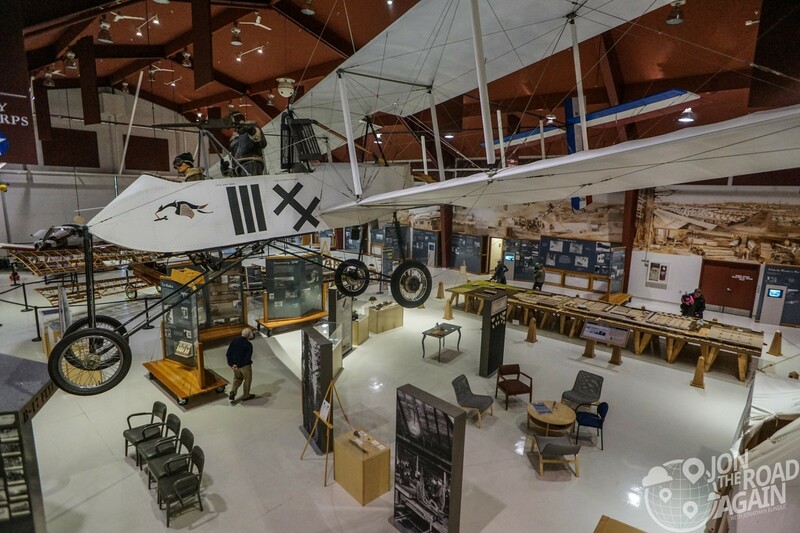 The museum explores aviation history tied to Pearson Field, which got its start in 1905 when an airship landed on the grounds. Pearson Field is the oldest continuously operating airfield in the Pacific Northwest and one of the two oldest continuously operating airfields in the United States (the other being College Park Airport in Maryland). 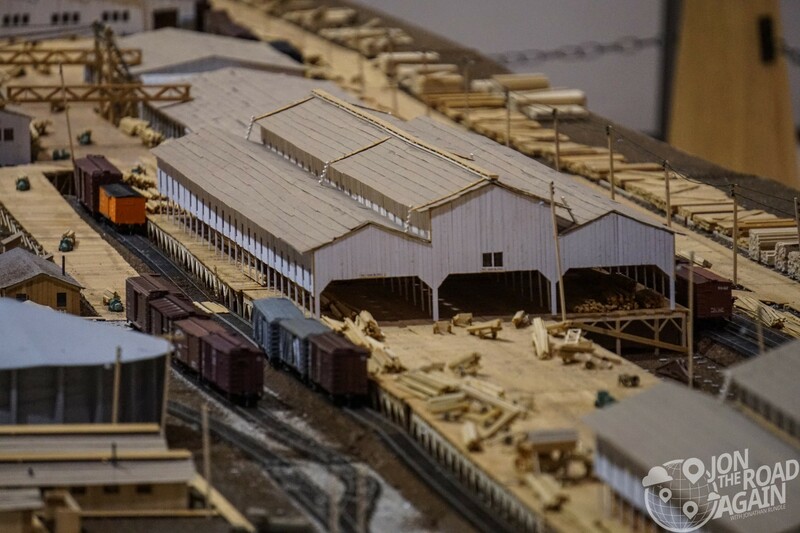 The Pacific Northwest was home to one of the world’s best supplies of spruce, and so the U.S. Military created the Spruce Production Division, based out of Vancouver Barracks, to ensure that the allies would have enough spruce to produce aircraft. 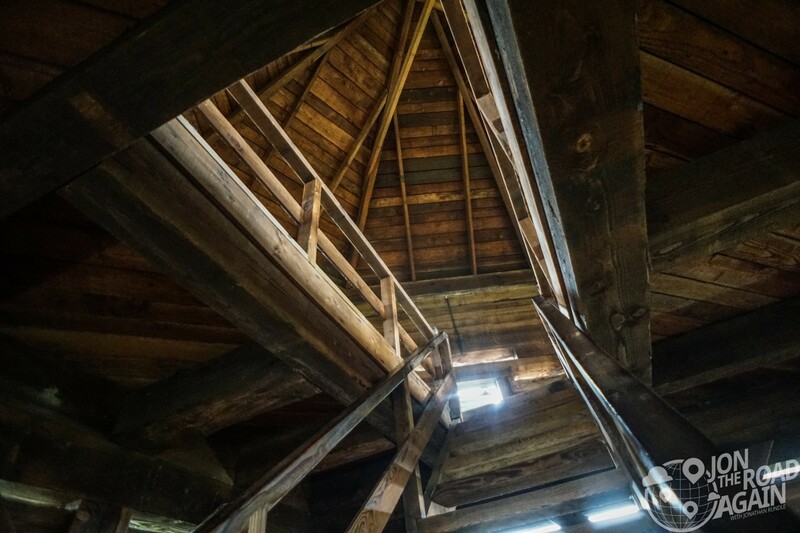 At its peak, the Spruce Mill, once located on the plain where Fort Vancouver and Pearson Air Museum are located today, operated 24 hours a day, 7 days a week, and produced 1 million board feet of lumber daily. 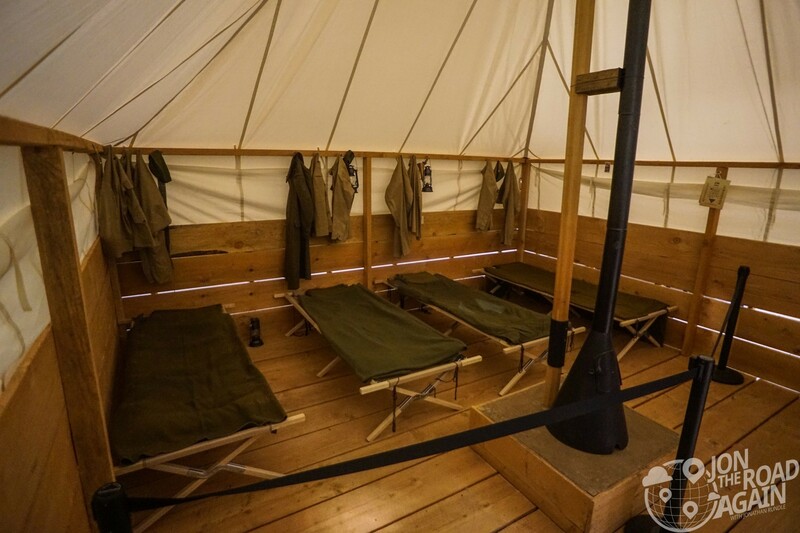 A replica of one of the worker tents. A tight squeeze! 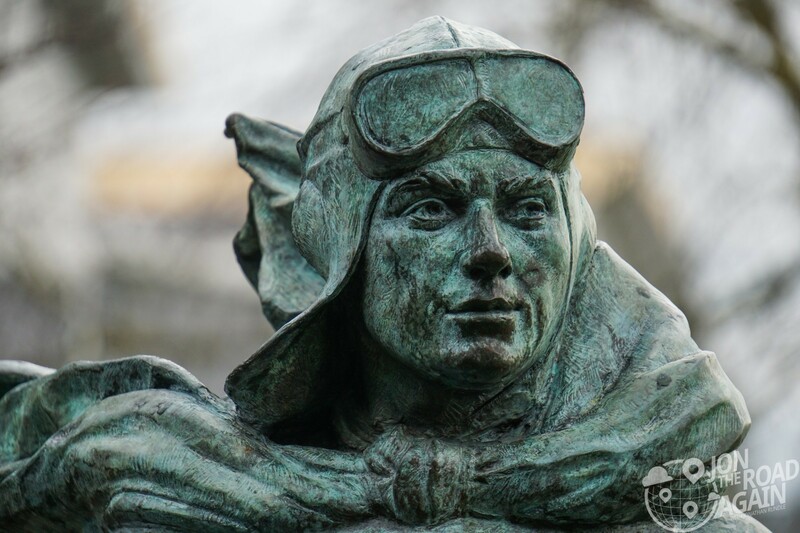 Along with the sculpture below, the objects and artifacts from the National Park Service collections and on loan from members of the community and other museums honor the history of aviation in the Pacific Northwest. Admission to the Pearson Air Museum is free, admission to Fort Vancouver is $10.